Providing medical care and health education is only part of how United Regional supports our community. We contribute in numerous ways to community organizations and events with volunteer manpower and monetary donations. In addition to the programs listed, many employees give their personal time and resources as members of community organizations, their boards, committees and projects. And each year, through our Spirit of Giving Campaign, our employees have the opportunity to donate to organizations in our community such as Hands to Hands, United Way, Children’s Miracle Network and the Rathgeber Hospitality House. In 2015, employees gave more than $279,000 to the campaign. We sponsor teams to raise money and awareness for the American Cancer Society. Each year we provide educational presentations at health fairs and other community events on breast cancer screenings, mammography and treatment. In 2015, we participated in 90 events reaching over 6,000 women to educate them on the importance of Mammograms and early detection of breast cancer. Members of our Trauma Department participate in events with “drive-through” child passenger seat checks to determine if the care seats meet safety requirements, and replace those that do not. Approximately 200 car seats are checked annually. Six times each year we host luncheons for approximately 250 members of 55 Advantage at which physicians and other clinicians provide education on senior-related medical and health promotion and disease prevention topics. In 2015, topics included cardiovascular health, osteoarthritis, back health and the diabetic foot. Each year this brunch gathers features a guest speaker on heart health and provides health screenings to over 400 women. 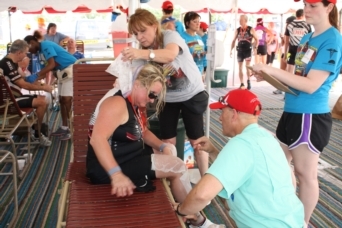 United Regional sponsors 18 medical services tents with staff volunteers and supplies to treat participants with injuries and other medical conditions. The event attracts more than 12,000 cyclists annually. We sponsor and host Health Day for the Leadership Wichita Falls class to educate them on the services and technology available at our hospital and coordinate speakers from other community health organizations. 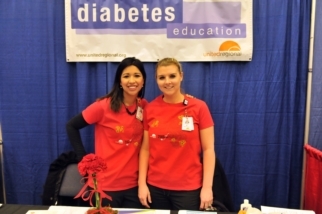 We provide students with health screenings as well as information on careers in the health care field. We provide health education, screenings and flu shots to more than 400 seniors in our community. In 2015, 180 staff members and their family members, and volunteers participated in the race to raise funds and awareness for breast cancer.